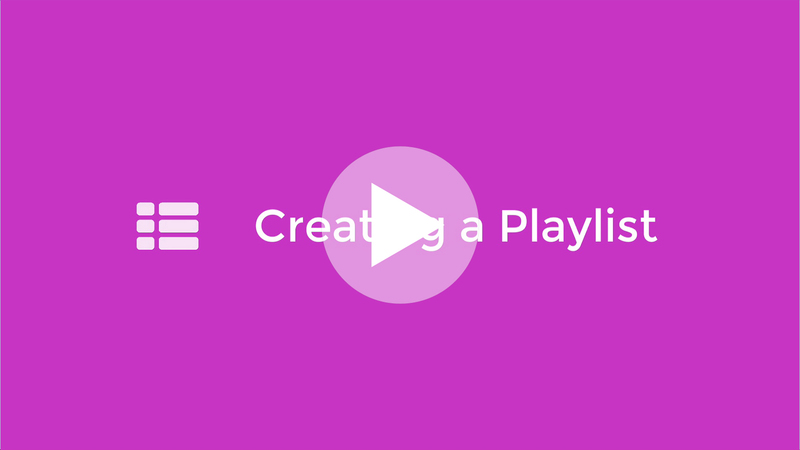 In this article you will learn how to create a playlist to which you can then add media and publish it to your viewers. If you want to check out some demos and and extra information please visit our Playlists information page. To create a playlist we will need to click on the ▼ Playlist section in the left media bar. This will expand the currently available playlists for us to see. By default we have the Default Playlist which has a small ⌂ Home icon next to it. The Default Playlist is where any videos that have not been assigned to a specific playlist are placed. With the Main Playlist Category selected we can create a new playlist by clicking on the ➕New Playlist button located in the top of our current Central Media View. This will open a pop up asking us to type in the Title of our new Playlist. Once you have typed your desired name simply click on the green Confirm button to create the new playlist. 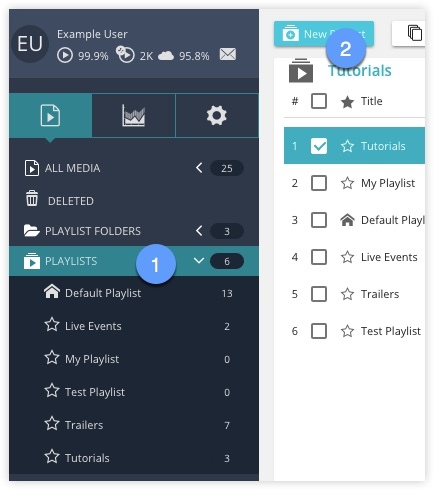 We can now see the newly created playlist in the Central Media view as well as in the left Playlist menu. With your playlist created you are now able to add media to it.